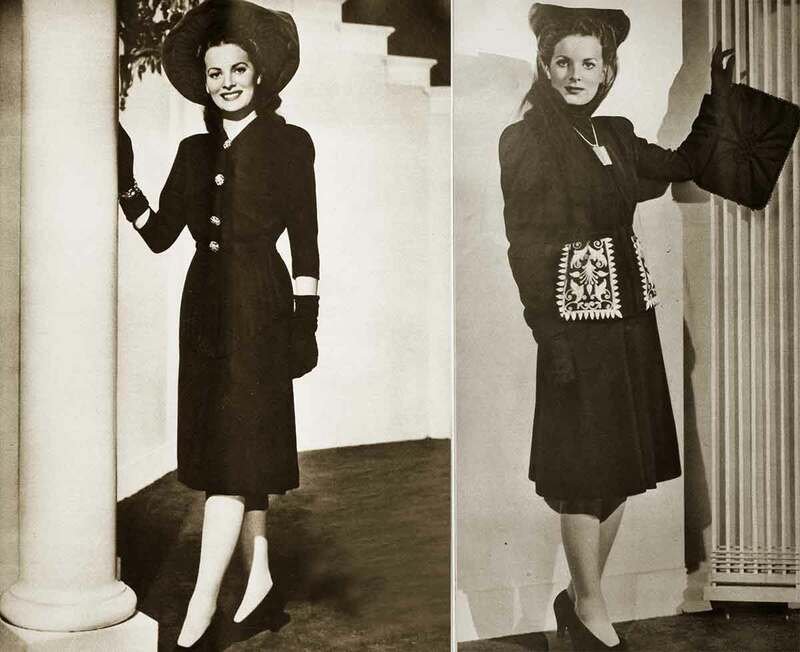 Cross your fingers and hope you’ll fall for the lovely Maureen O Hara as she models some of her favourite winter styles for this December of 1941. To the left, just swoon at this winter suit: a black silk crepe by Filbert with a brief apron peplum in front, decorated with jewelled buttons of gold, aquamarine and topaz coloured stones; a copper coloured velvet bonnet to go to your head. Talk of the town at twilight: A black wool suit with pockets beautifully embroidered in white, silver and gold threads. 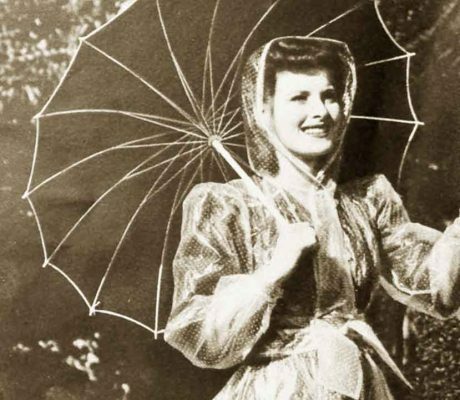 With this Filbert model, Maureen O Hara wears a medallion necklace of Mayan inspiration, a puckish little hat of black velvet and maline with long streamers. 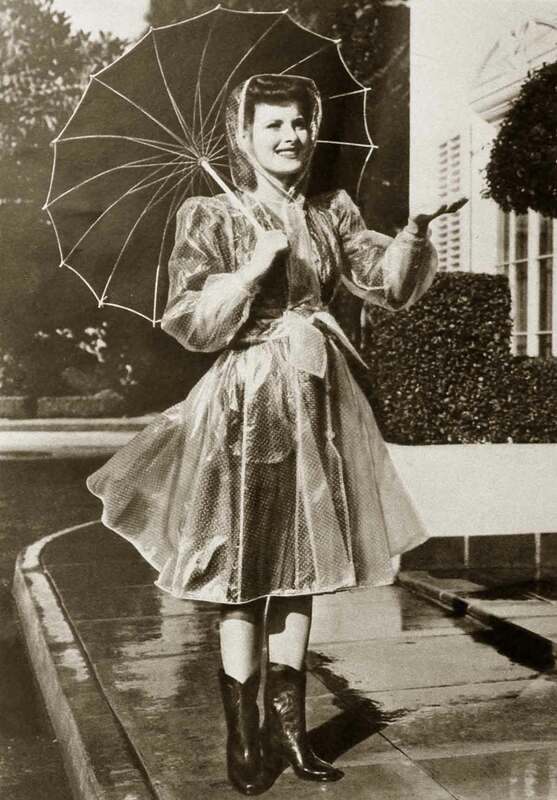 Rain, rain, don’t go away – just stay around and watch Maureen O Hara chase raindrops in this flared and hooded raincoat of self-polka-dotted white oiled silk. Newest of new is her footwear – brown rubber galoshes chased around the tops like a cowboy’s boot. Over her shoulder is a trim brown silk umbrella with a white handle, a pretty frame for the prettiest of faces.